DO-68056-76 was succesfully added to your cart. Gauges all-welded assembly contains an external flush diaphragm and is ideal for applications in the food, beverage, pharmaceutical, and biotechnology industries. 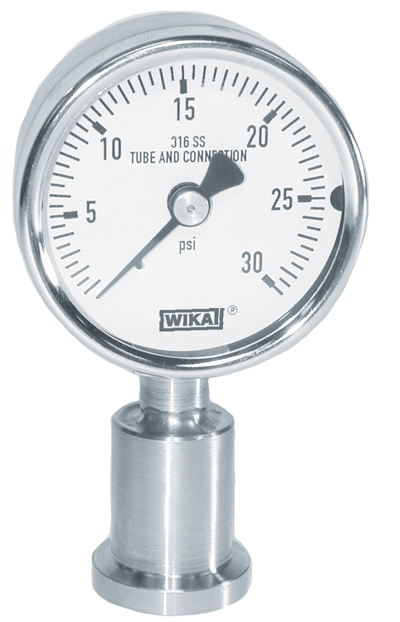 Gauges are constructed of 316 stainless steel and have a 3/4" Tri-Clamp® process connection welded to the gauge. Assembly meets the criteria set forth by 3A standards. Gauge case and ring are 304 stainless steel and has a polycarbonate window.